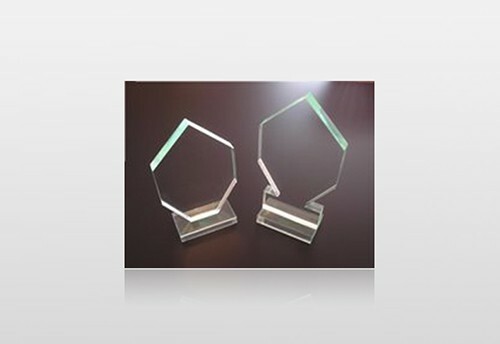 Custom Acrylic Awards - choose your size. Quantity discounts. Both are 3.5" wide. Base is 2.75" x 1.5"
The tall one has a 2.75" square at the bottom for extra engraving. Tell us what you want on it and let us design it. Available in two sizes - Large: 6.5" tall - Standard: 5.25" tall Both are 3.5" wide Base is 2.75" x 1.5" ​ The tall one has a 2.75" square at the bottom for extra engraving. Edges are not beveled.